Community Services presented a check to the NK Athletic Medicine group to help pay for an upcoming skills symposium, where students will learn important medical treatments. Great news!! 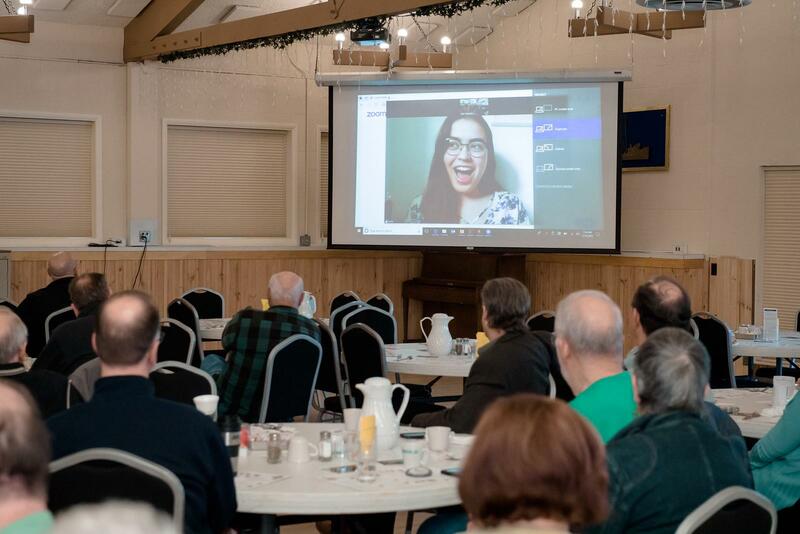 Thanks to your generosity, and to our intrepid Rotary Foundation Committee, our Club’s End Polio campaign had a boost in giving and we are now set to exceed our goal for this year. THANK YOU! 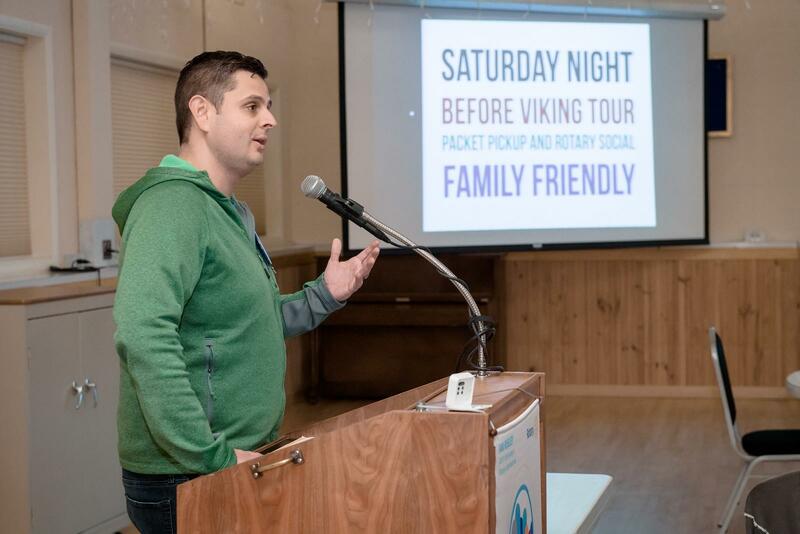 Nick Johnson updated the Club on the latest Viking Tour news, including a record-setting 129 preregistrations, many more than last year. The preTour registration party the night before at Western Red Brewery looks to be almost as fun as the Tour itself, with beer, music and discounts galore. 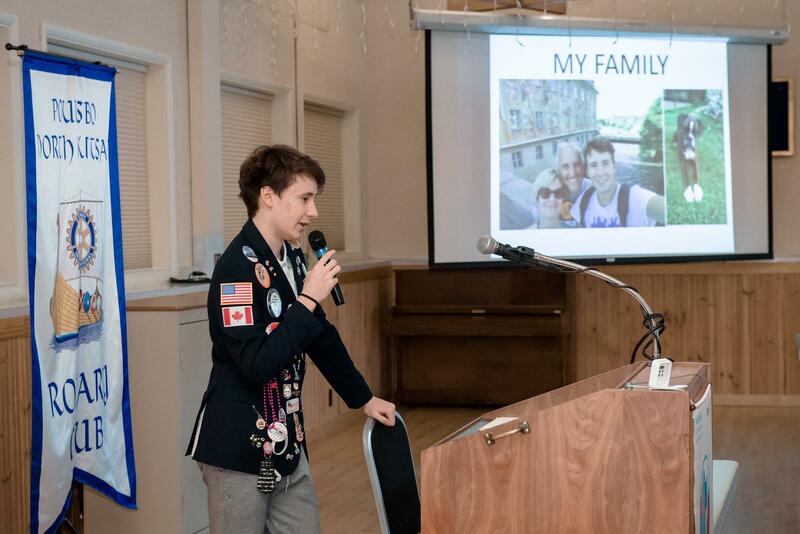 Giacomo Battu, affectionately called “Jack” by family and friends, is our Poulsbo Rotary’s incoming Exchange Student this year, bringing cheeky humor and a swag to our Club when he shares his adventures each week. For last Friday’s meeting, he took the podium to tell us more about his native Biella, Italy and the life he lives when he isn’t in the US. 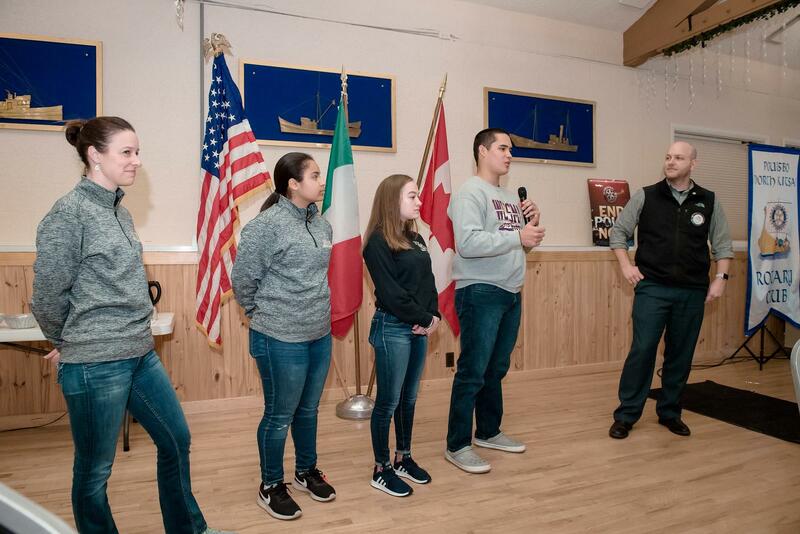 He told us about how different high schools are in Italy, where students can choose to attend one of many high school choices based upon the curriculum focus. He shared that classes are different throughout the week, vs. our high schools where schedules are repeated daily. Jack loves sports, especially soccer. His family’s love of travel has taken Jack to many, many countries throughout the world. Each year, they choose a different place to visit that they haven’t visited before. Jack, whose mastery of English is impressive, told us that he has learned English from when he was in elementary school and loves that he can practice all the time while with us. Thank you, Jack, for a fascinating opportunity to learn of your life and your world.